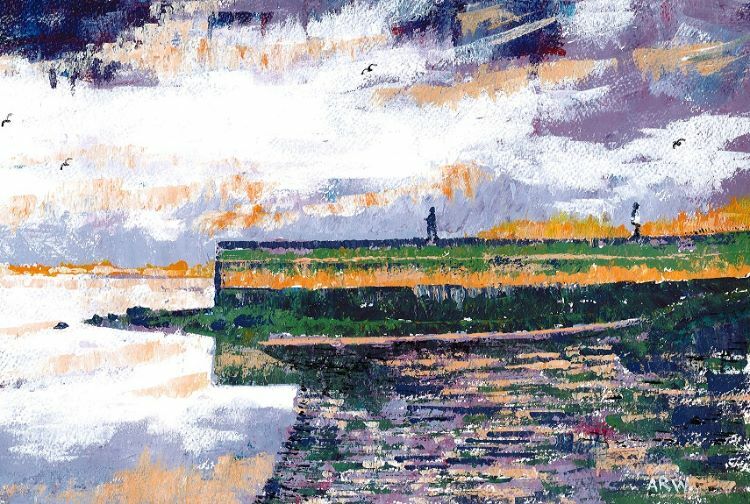 Man Haven The Leas Sth Shields by W Drea -oil on canvas board 8"x8"
The Observerer by Willie Drea. -oil 14"x10"
Kingsgate Br & Dunelm House by Willie Drea. -oil 12"x10"